Sri Sankara School, as it was then known, owes its inception to the inspiration provided by The Paramacharya of Kanchi Kamakoti Peetam. It was inaugurated on June 21, 1970 under the auspices of the Oriental Cultural Education Society, a subsidiary unit of the Vyasa Bharatha Kaladi Sadas Samajam, a registered body founded by His Holiness Jagadguru Sri Sankaracharya of Kanchi Kamakoti Peetam, by Sri. V.Vaidyasubramania Iyer, a well known pilanthropist, on the land gifted by him, and situated in R.A. Puram, Chennai. The first Annual Report presented by Sri. 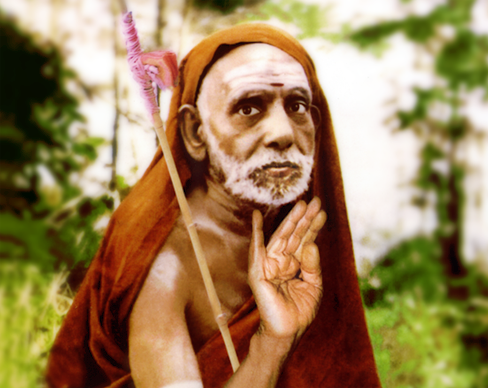 S.K.Sivaraman, the then Joint Secretary of the Managing Committee acknowledges with deep gratitude the fact that “the School owes its inception to the inspiration of His Holiness Jagadguru Sri Sankaracharya Swami of Kanchi Kamakoti Peetam, and that His blessings have been its greatest moral asset all along”. In 1972, The Indian Education Society was formed to take over the assets and liabilities and also the Management of Sri Sankara School. The Managing Committee of the Society negotiated the purchase of the Vasantha Press Building from the Theosophical Society. This is where the Adyar School is now located. Sri. P.R. Pattabiraman, the first General Secretary, was responsible for finalizing the purchase of the land and building in Adyar from The Theosophical Society. He was instrumental in guiding the affairs of the School during its formative years successfully. The Committee was reconstituted in 1977 with Sri. R.Venkataraman (Former President of India) as the President of the Governing Body and Justice Krishnaswami Reddiar as the Vice President. When Sri. R.Venkatraman, laid down office on his joining the Union Cabinet Sri. K.S.Narayanan took over. The student strength during the Academic Year 1977–78 was 394. It was in 1981 that the first batch of students was sent to take the XII Standard examination. In 1981, the Indian Education Trust took over the Management of the School from the Society. Sri. K.S. Narayanan took over as the Chairman of the Trust. In addition to the Chairman, the Board consisted of Sri. S.Venkataraman , Sri. V.L. Dutt, Sri. V. Narayanan, Sri. N. Sankar, Sri. V.Balasubramaniam, Sri. V. Vaidyanathan , Sri. V.S. Dhandapani (Managing Trustee) and Sri. N. Kumar (Treasurer). In 1988 the Trust was allotted land at Thiruvanmiyur for starting another School, and in 1989, Sri Sankara Vidyashramam, run on the Matriculation pattern was started with 315 students. The first batch of students from the School took the Higher Secondary Examination (Plus two) in 1994.